Ever seen one of these? 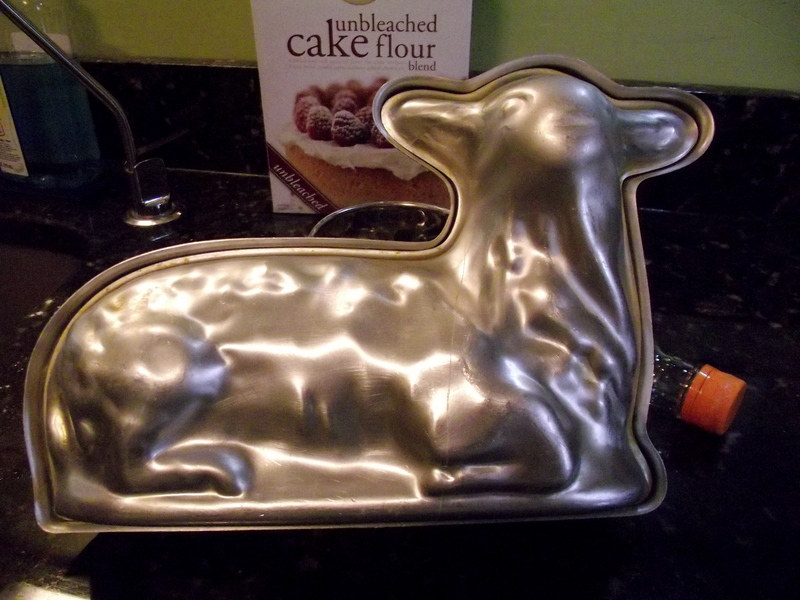 It’s a mold for a lamb-shaped cake. A little creepy, but there you go. Mrslovey’s great-aunties used to make a lamb cake every Easter, and it made quite an impression on her. When they passed away, mrslovey became keeper of the mold. Which, if you stop and think about it, means that *I* became keeper of the mold, because she doesn’t bake. Mostly it just lives in the pan closet, but this year she requested that I revive the tradition and make a lamb for Easter. Following is a step-by-step demo of the process.